I don't remember where I found this, but I absolutely LOVE it! 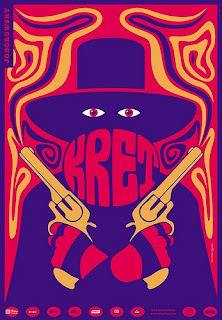 Hey this is cover for polish edition of Jodorovsky film "El topo" = "Mole" = "Kret"
They are making nice posters for polish editions of special films. Sweet - thanks for the info!